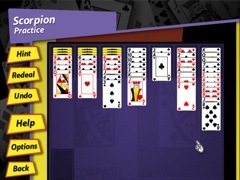 Learn and master 10 different Solitaire games. 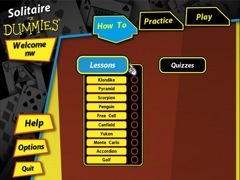 Whether you're tired of playing the same ol' Solitaire on your computer or you want to know the true meaning of the term tableau, Solitaire For Dummies is your ticket to the perfect stack of cards. 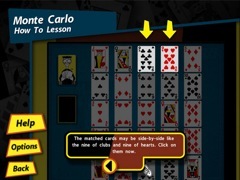 Learn and master 10 different Solitaire games through 3 fun and easy modes: How To, Practice, and Play. You can refine your skills in classic Solitaire games like Klondike, Pyramid, Scorpion, Penguin, Free Cell, Canfield, Yukon, Monte Carlo, Accordion and Golf, or discover new talents in other games like Penguin. When you learn from a Dummy, you will never have to redeal a game!